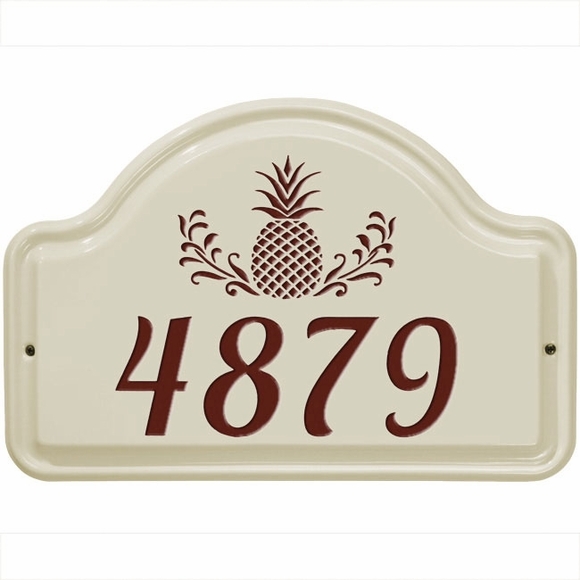 Personalized Ceramic Street Number Plaque - - wall plaque with pineapple prominently displays your house number in large 3" numbers. High-fired vitrified ceramic withstands outdoor elements. Arch shape. Wall mount. Made in USA. Bristol cream background with red, green, blue, or black numbers and design.